Roof Primer is a pure acrylic-based paint with non-added lead and mercury which is specially formulated to use as an undercoat before the top finishing coat of Solaroof. It is used to improve the adhesion with the substrate. It also increases the solar reflectant performance of Solaroof and hence, provides a longer lasting protection for roof tiles. Lot I-17, Taman Perindustrian Subang Utama, Jalan SU4, 40300 Shah Alam, Malaysia. Jalan SU4, 40300 Shah Alam, Malaysia. Note: The colour shades displayed are indicative and not precise representations of our actual paint colours. EX-Chairman of the Board at Nippon Paint Holdings Co Ltd.
passed away on May 1, 2018. 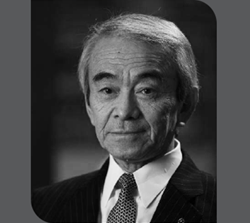 Our deepest condolences to the family of Mr. Kenji Sakai.